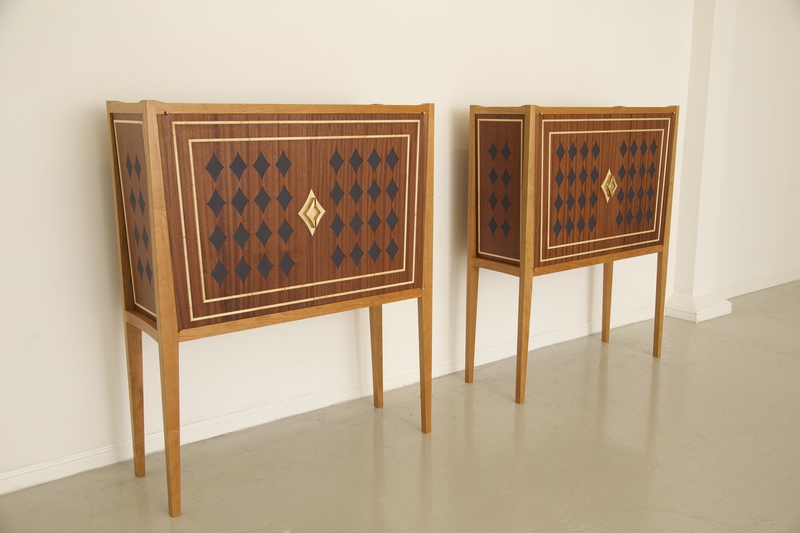 A pair of cabinets for the living room of clients in North London. 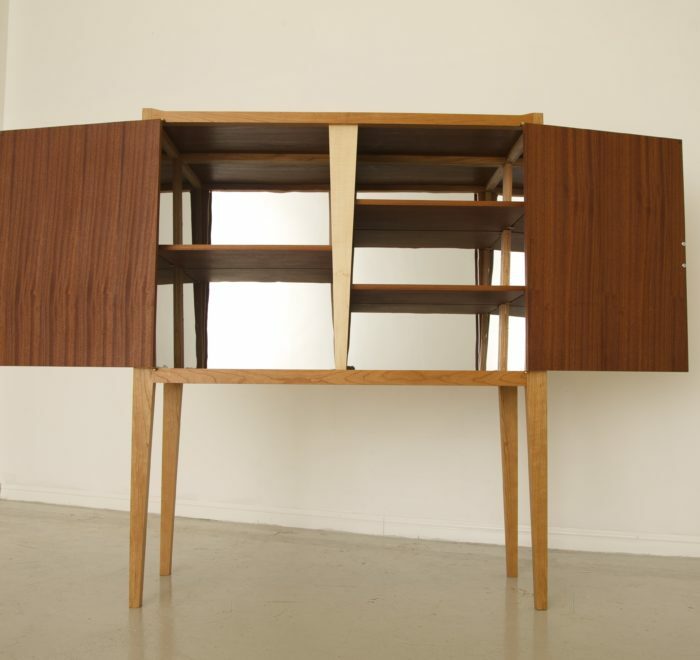 The brief was for two cabinets to house a TV in one, and a whiskey collection in the other. 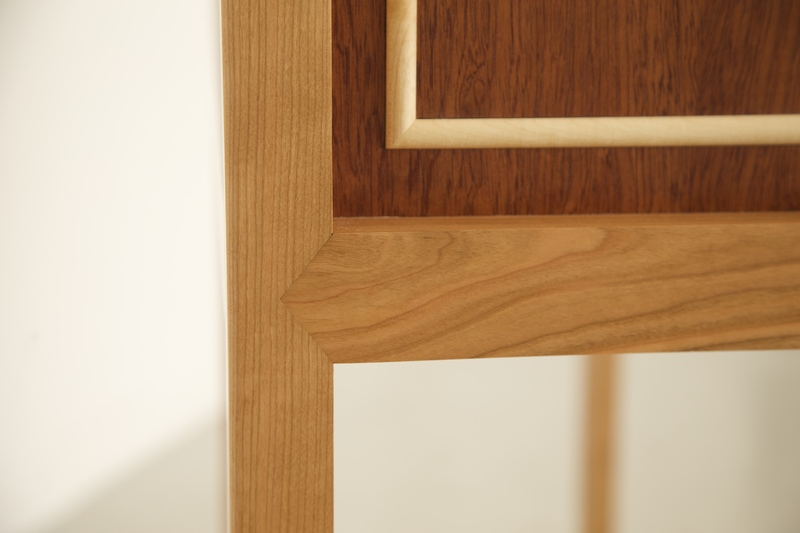 Stylistically, the design had to be harmonious and generate warmth, but be a little bit different. 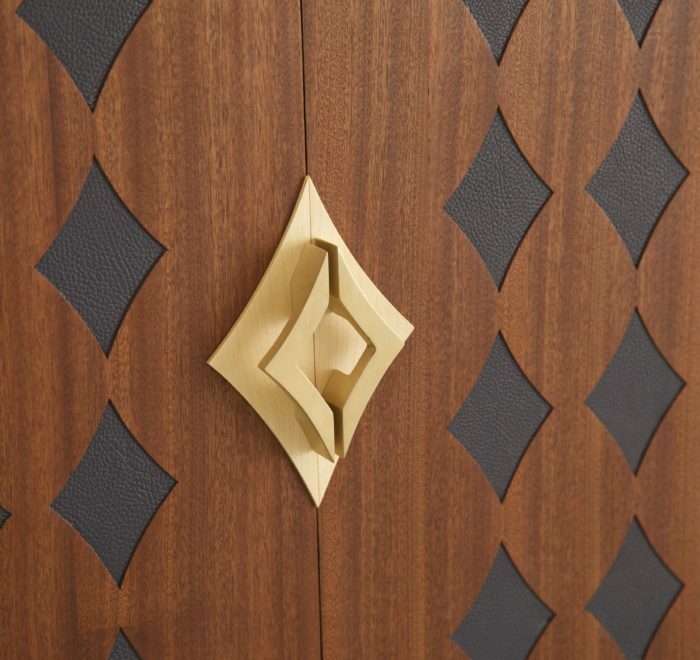 Leather was also mooted at the outset to be included. 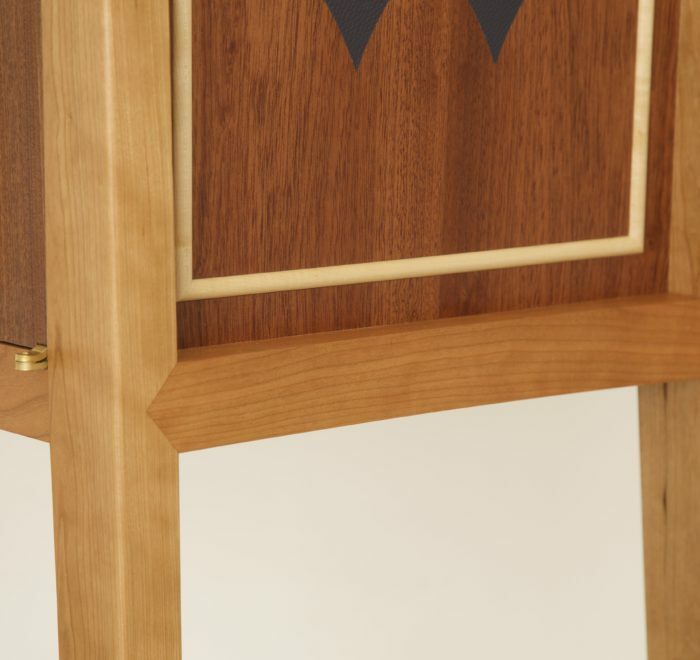 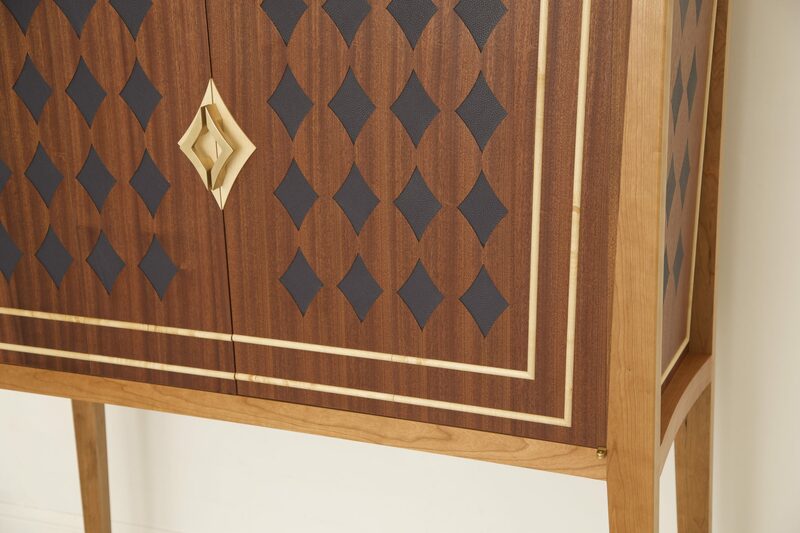 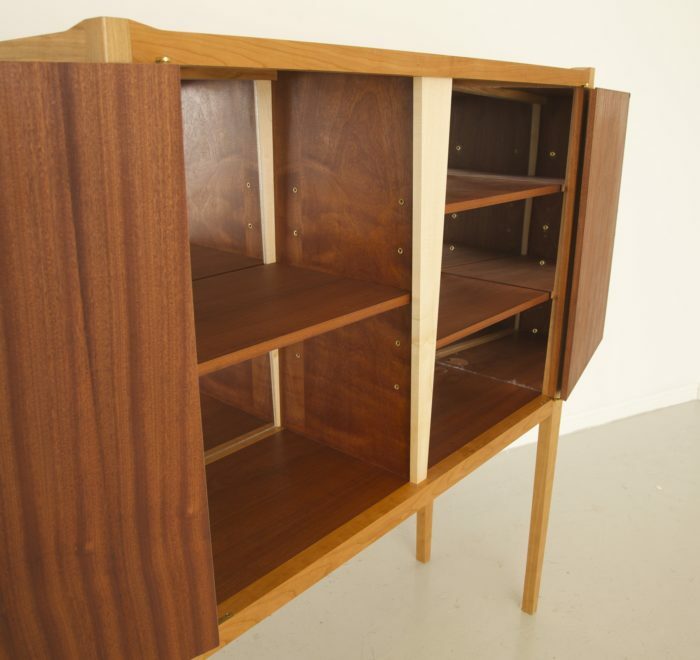 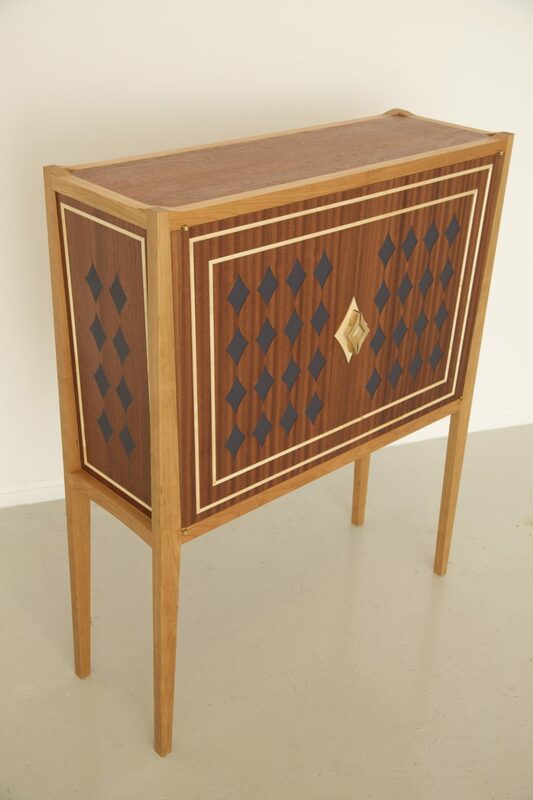 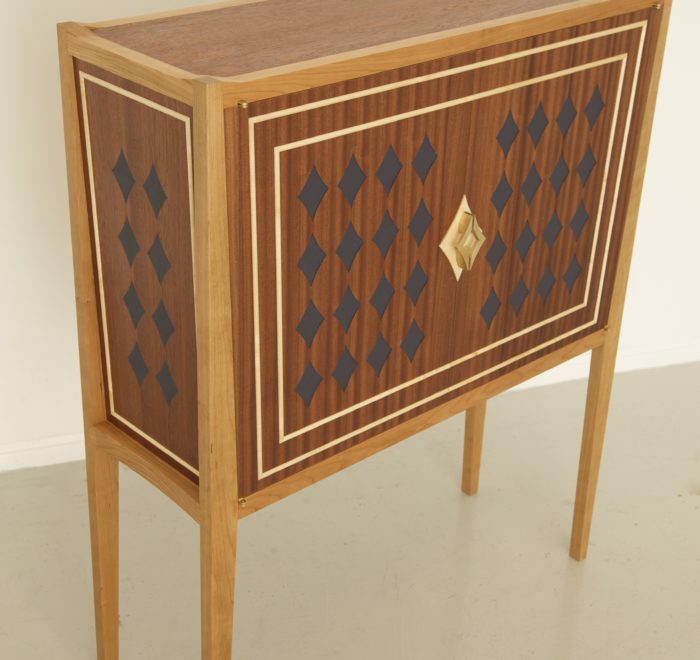 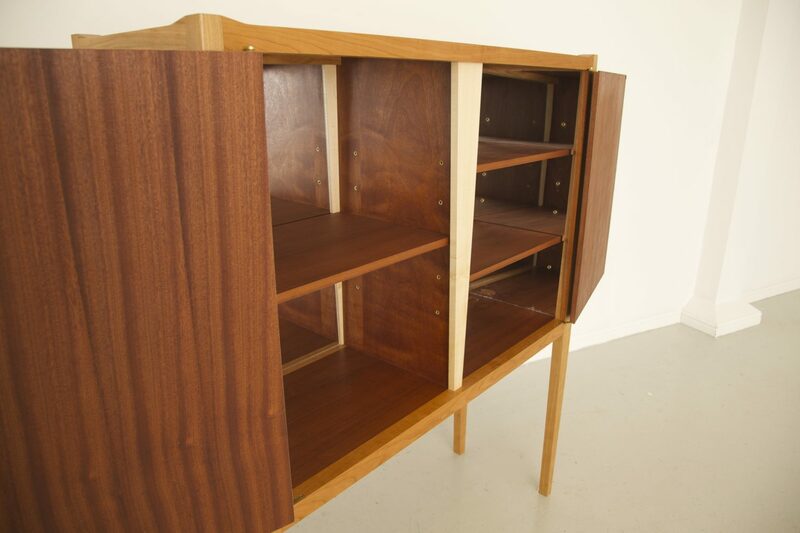 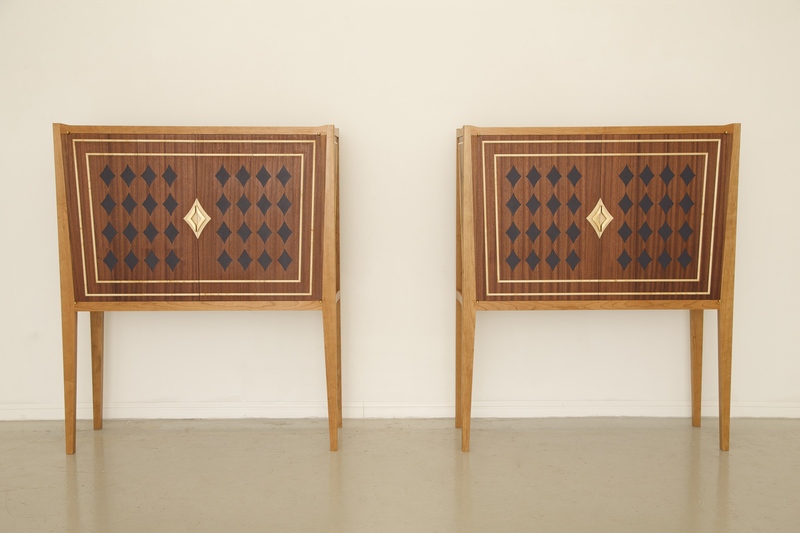 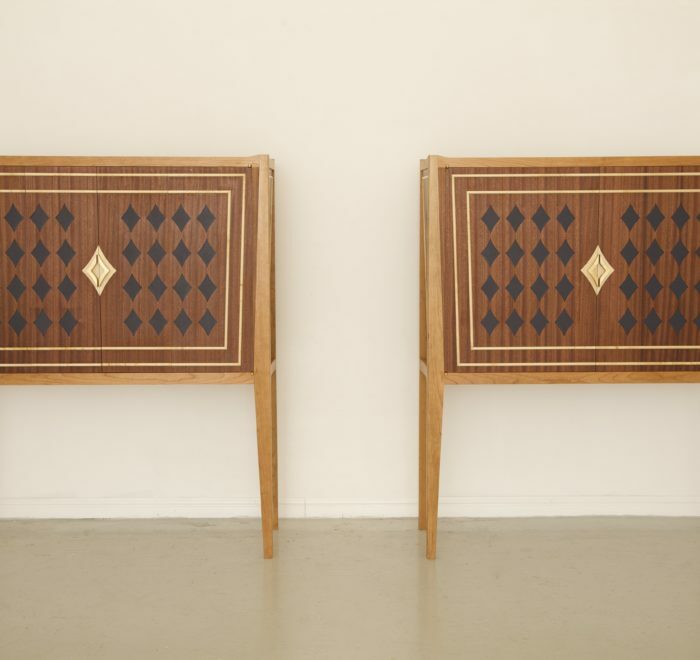 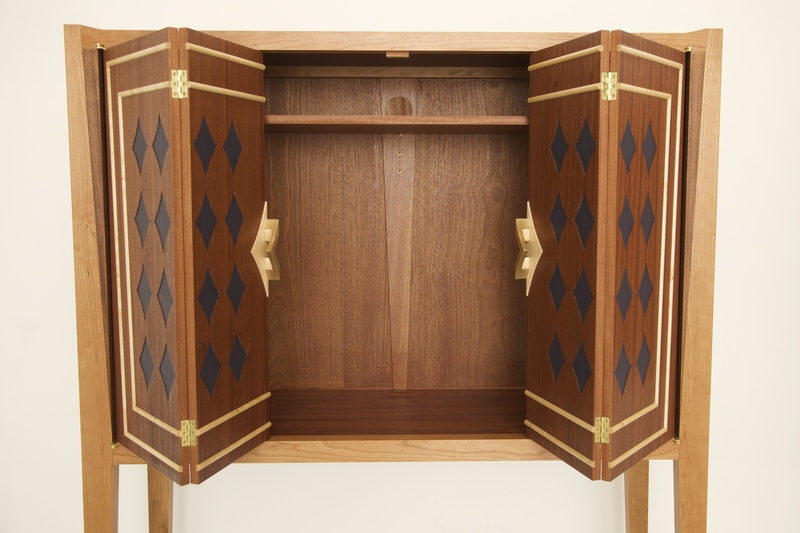 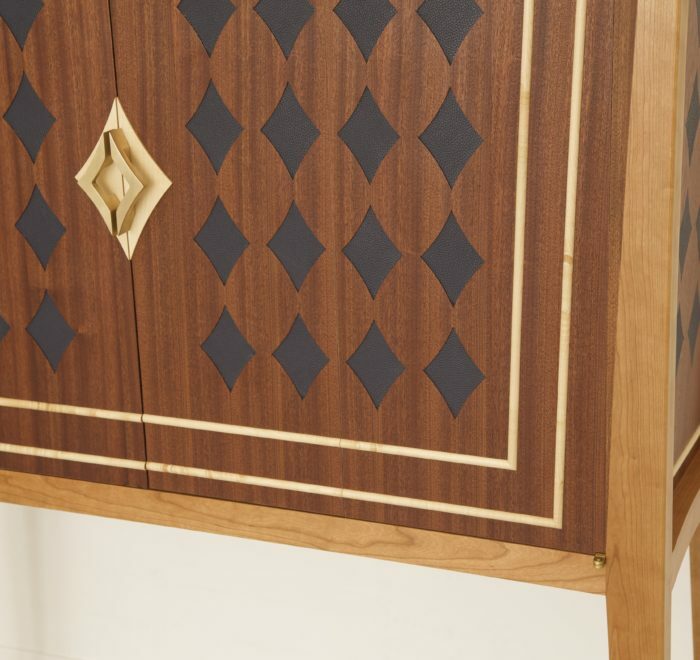 What resulted are cabinets made from American cherry and sapele, with crushed leather diamonds embedded into the sides and doors. 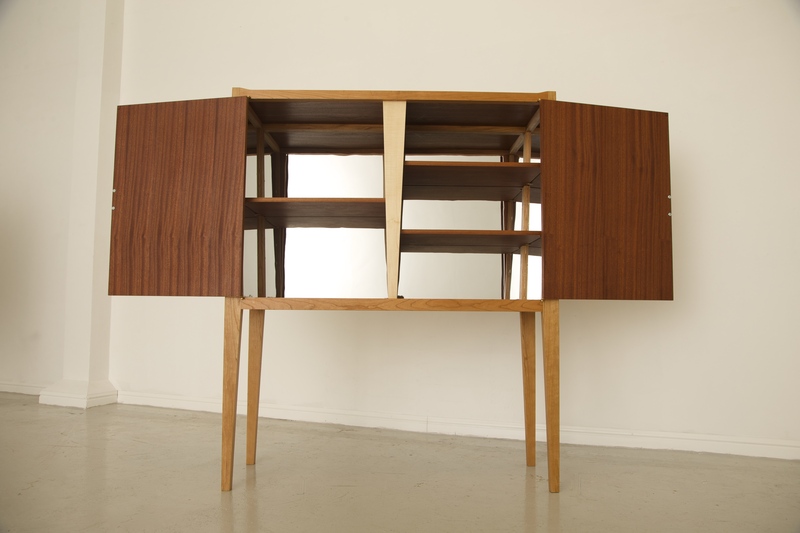 One cabinet has bi-fold doors so they do not obscure the TV when open, and the drinks cabinet has a mirrored interior with adjustable shelving. 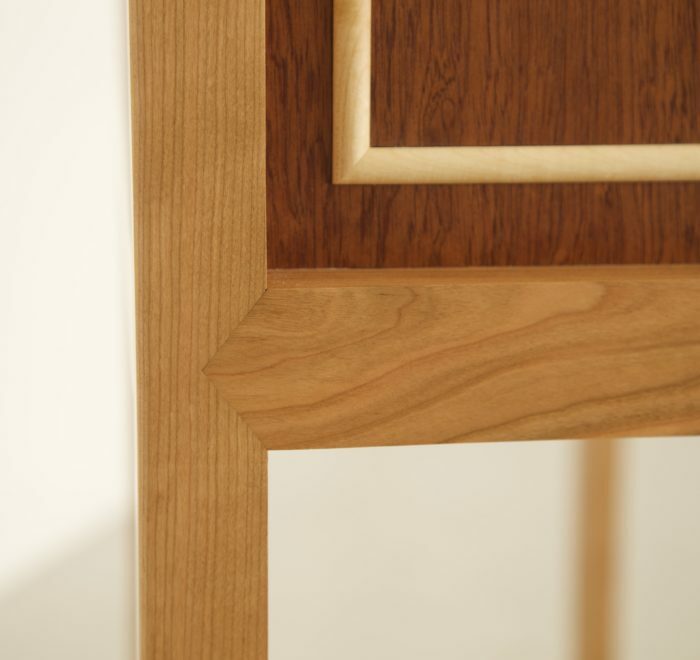 The simple geometry of the slightly curved diamonds plays off against the edgier, angular nature of the frame, with gently sloping sides and doors that appear to flare out towards the top. 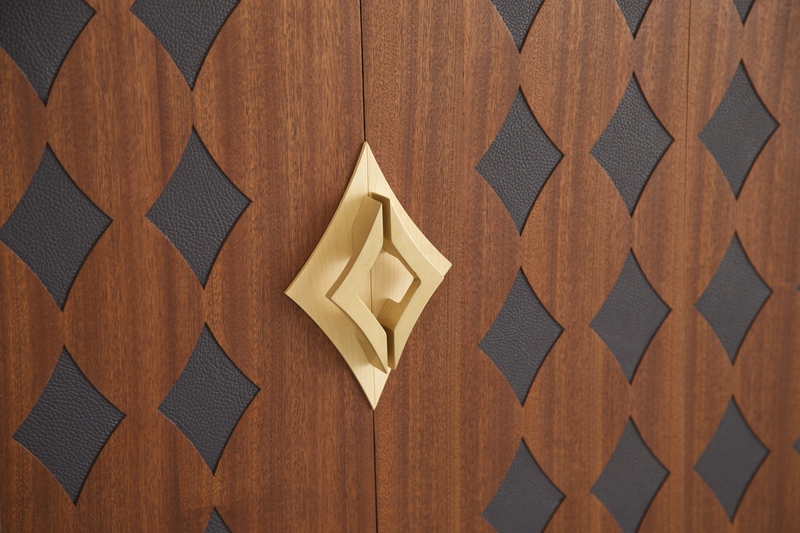 The sand-cast bronze handles were custom-made for the cabinets, their shape following that of the diamonds. 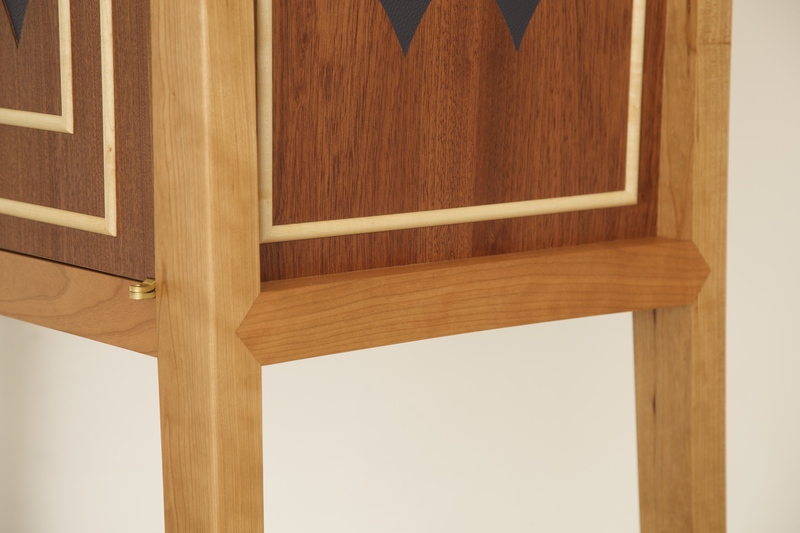 This commission allowed me to work closely with the clients, their input being valued at every step. 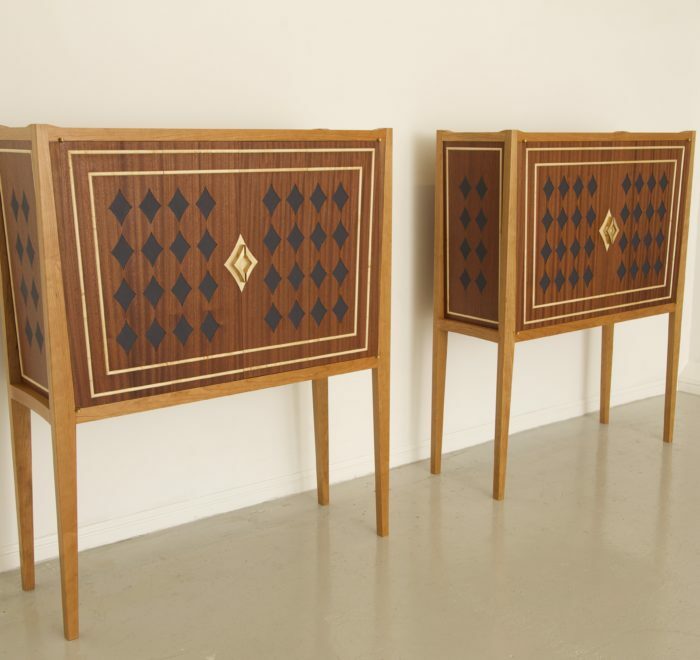 This journey resulted in a pair of cabinets that were both elegant and suited their needs perfectly. 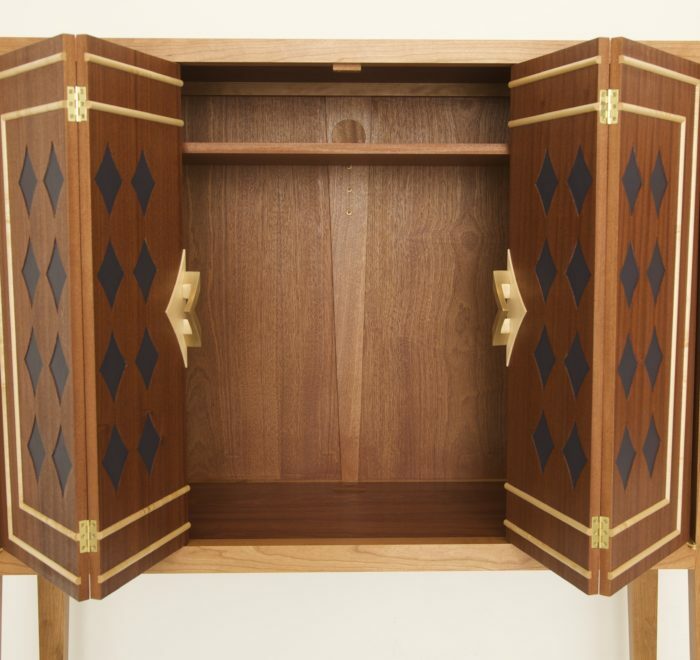 Made from American cherry, sapele, English sycamore, crushed blue leather and bronze handles.